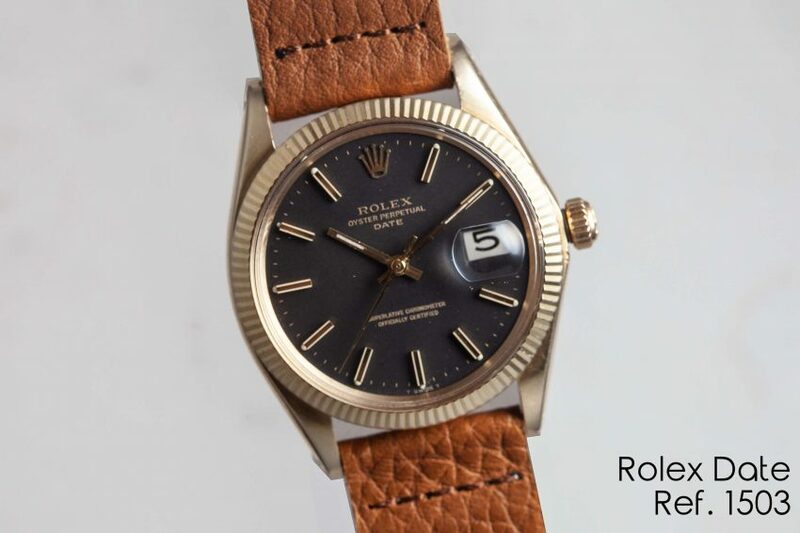 To me, this just might be the perfect yellow gold Rolex – within relative affordability, that is. It’s a Rolex Date, reference 1503. It was manufactured in 1969 and cased in 14K yellow gold. It features an absolutely beautiful matte black dial, which, if rare dials are your thing, will make you quite giddy. On the wrist, it’s so much beefier than 34’s from Omega or Patek. The oyster case, acrylic crystal, cyclops, and thick lugs just add such body to a size that is, otherwise, more old school and unapproachable for most.